Aankhen is a 1993 Bollywood comedy directed by David Dhawan and starring Govinda in a double role and Chunky Pandey. It is a remake of the hit Kannada movie Kittu Puttu, starring Vishnuvardhan which is copied from hit Hindi movie Do Phool, starring Vinod Mehra and Mehmood, released in 1973. It was also remade into Telugu in 1995, starring Venkatesh and Ali. * These figures are approximate based on filminformation, mayapuri and boxoffice magazine coupled with other sources. ROI Movie was sold for 55 Lakhs in Bombay, 40 Lakhs in Delhi/UP, Approx. 8 lakhs In Bihar, 21 lakhs in East Punjab, 6 lakhs in Rajasthan, 32 lakhs in CPCI, 22 lakhs in South, 7 lakhs in Orissa, 5 lakhs in West bangal. Leads to All India cost of 1.96 Crore. Recovery was approx. 8.5 Crore DS from domestic theatrical run. 400+% ROI. Recovery 8.5 Crore Domestic Distribution Share against 1.96 Crore cost. (12.46 Crore NETT). Relative performance Excellent, Movie was biggest hit of year and way ahead of other big hits of year like Darr, Baazigar and Khalnayak. Recall value Great entertainer, Always remembered as best movie of each member associated i.e. Govinda, chunky and David Dhawan. BollyBusiness Note Collections was sky high compared to price tag. celebrated golden jubilee at 7+ centers across country. With 400% + returns it was All Time Blockbuster. ~ by Yakuza on March 31, 2010. Aankhen is great film,and best film of Govinda and also great work of Chunky.please Sir do it of film Veer Zara,Hum,Ghajini. Q : If we compare boxoffice of Ankhen (1993) and Bheja Fry (2007), with lesser cost Bheja Fry made same money as of Ankhen. Then why there is difference between their final verdicts ? A : Ankhen was cost around 2 Crore in 1993 and collected 12+ Crore when average ticket was Rs. 10, hence given verdict ATBB. Bheja Fry was cost Rs. 60 Lakhs and collected 11+ Crore when average ticket price was Rs. 120+ (at multiplexes, it was released in plexes mainly), hence given verdict super hit. Aankehn was a great entertainer, why can’t we have these type of films right now? Bollywood has dearth of great entertainers now. 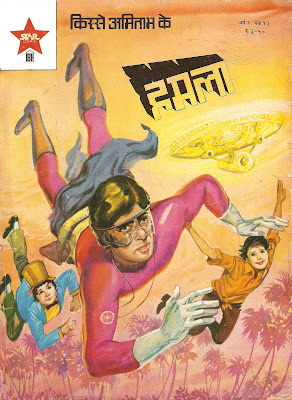 Manmohan Desai was first and last dream merchant. MPK 4 yrs back did 14 cr (1989). HAHK 1 year later did 65 cr (1994). Yes Saurabh, this looks to be the weakest ATBB. The adjusted nett looks to be 46-50 cr as of today. I doubt any movie with that kind of nett will be called an ATBB today. Yakuza, can you please confirm? jeevcy, Average ticket price in 1993 was Rs. 10, Today its Rs. 70 (SS and Plexes average), Adjusted figure will be around 85 Crore against cost of 14 Crore. Even if today any 14 Crore movie managed to collect 80+ crore will be considered as ATBB. HAHK was exceptional blockbuster which collect 60+ Crore against 5 Crore cost. Sorry to say but i disagree with you. Aankhen was released during time when there was huge case of video piracy going around. Not a single film since 1986 (except Maine pyar Kiya) grossed more than 10 crore. Aankhen grossed mind-blowing 12.46 crore (which is much more than Amitabh’s succesful Hum,Sanjay Dutt’s Superstar-making Khalnayak,SRK’s Darr,Subhash Ghai’s mega-epics Ram Lakhan and Saudagar,Aamir Khan’s Dil and Sunny Deol’s Ghayal).All this films were much expensive than Aankhen but still they managed super-hit to blockbuster status.